Last year at Slush, the health track and demo area attracted a lot of attention and interest. This time around, digital health is going to get even bigger with nearly 200 companies from this domain attending the event. We’ll see plenty of creative solutions that improve consumers’ wellbeing, from physical activity to mental fitness. So here you have it—three health and wellness startups to definitely keep an eye on at Slush 2014. Yoogaia is what yoga classes should have become long time ago. Imagine practicing yoga with a guidance of an experienced instructor in the comfort of your own living room. Without rushing to a yoga studio, just pick a suitable time, switch on your computer and stretch those stiff shoulders! The first online yoga studio offers live classes personally guided through your own webcam. Unlike recorded yoga classes that are widely available online, Yoogaia offers interactive sessions—the instructor can see how you’re doing and correct your posture. You can also exercise without switching on your webcam and simply watch an instructor. Feel like doing some pilates, core or kettlebell? Yoogaia has got you covered. At the moment, the classes are available in English and Finnish as Yoogaia kicked off with a soft launch in Finland. The startup wants to scale as fast as possible and plans to roll out soon in several new languages including Spanish and German. That said, the startup has just announced their global launch by opening up a yoga hub in London. The ambition is to continue with opening another studio in Hong Kong by the end of the year. “The problem that we are solving is universal—people are too busy. We all know that we need to exercise yet we don’t seem to find time. Everything is moving to the online environment and our service is a natural step towards simplifying daily physical routines”, says Mikko Petäjä, CEO of Yoogaia, who sees a big demand in the solution the startup offers. On the funding side, Yoogaia has recently received a seed round led by Inventure and prior to this raised a bit under €100,000 via a FundedByMe crowdfunding campaign. The investments show that live online fitness classes make an attractive proposition for both investors and consumers. Any sport enthusiast knows when your body is tired, high-intensity training is not the best idea, at worst it might results in injuries. But how do you know that your body has fully recovered and ready for pushing the limits? It turns out there is an answer to this and it is fast, easy and incredibly accurate. Checkmylevel assesses your personal training readiness, based on the recovery level of your muscles. The kit includes an assessment device and a mobile app. It takes just 30 seconds to assess muscular and nervous readiness before training. This assessment is based on personal baseline, not on nominal values. Therefore, the startup says they offer the most accurate method for recovery analysis. “Once you have this information, you can easily optimize your training, avoid injuries and overtraining risk”, explains Ville Simola, VP Partners at Checkmylevel. Up until this point, the company has only been targeting professional athletes, teams and coaches and they managed to attract teams from the world’s major sports leagues such as MBA, NHL, KHL and NFL. 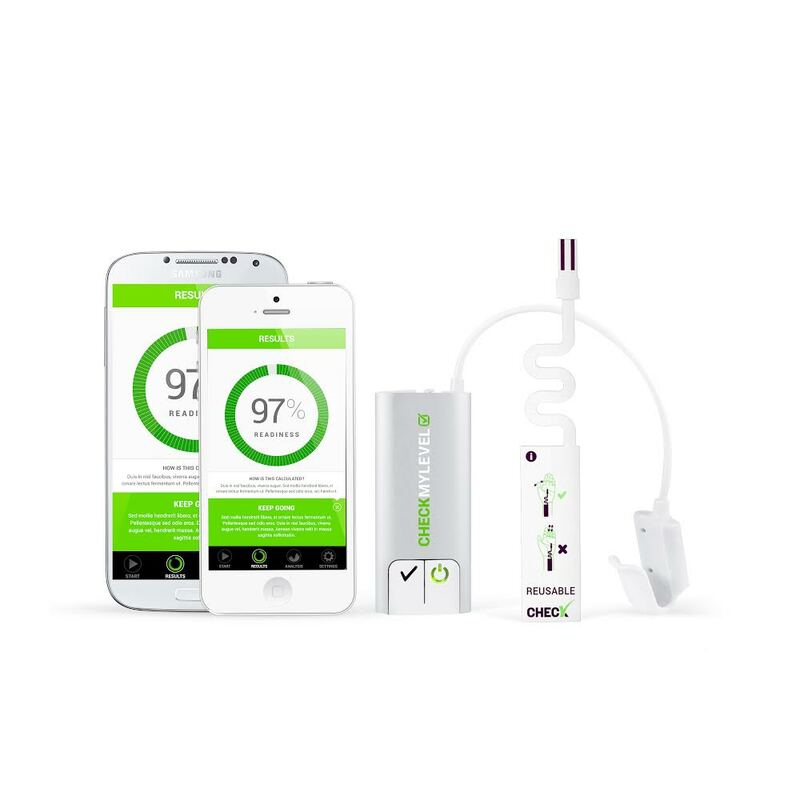 We hear that Checkmylevel is launching a crowdfunding campaign next week for their consumer-focused product. So if you are not a professional athlete but you take your training seriously and aim high, it is worth checking your level before the next training. There isn’t a lack of choice when it comes to devices measuring physical activity and performance. But how about using technology to understand and improve your mental fitness? 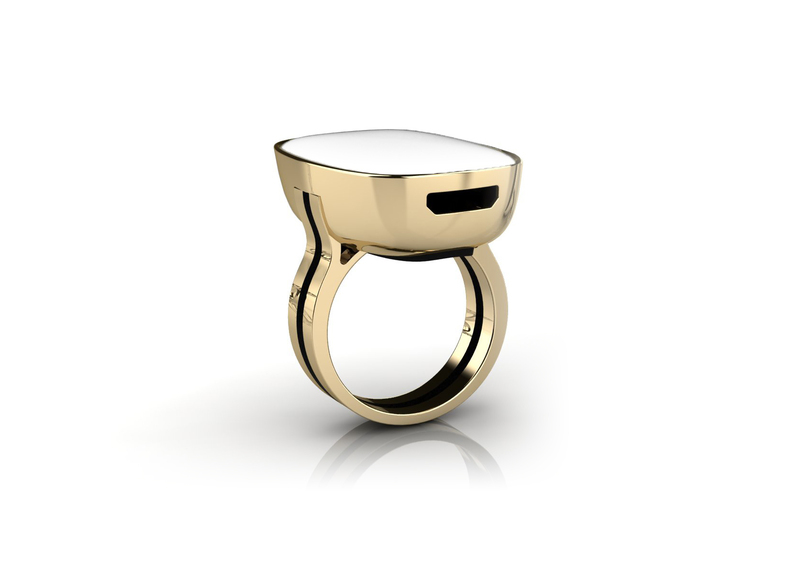 Enter Moodmetric, an elegant ring coupled with a mobile application for measuring your emotional fitness. Any emotional reaction causes an increase in skin conductance that can be easily measured from palm and fingers. The Moodmetric ring measures these autonomous nervous system signals that can be used to understand emotional reactions and improve quality of life. The ring records automatically the emotional levels during the day and the smartphone app gives instant feedback on the user’s mood, emotion levels and peaks throughout the day. The data is stored and presented as easy to read graphics. With the Moodmetric ring and application, the user can understand better what and when causes the biggest emotional intensity as well as see what are the most relaxing moments of the day. The startup has done several prototype rounds during past year and tested them with users. The team promises to finalize the beta version for Slush, so go and test your emotional voltage during the event.